Well I’m back at Uni now and have settled down into my cosy new house, again I must apologies for missing my deadline yesterday. As a result I’ve decided I’m no good with deadlines and from now on I will just post whenever I can, I’ll try to keep it down to two articles a week but sometimes it could be more or less. I have a few days before classes start, sadly the weather isn’t great at the moment (in fact its pretty horrible). Luckily, driving up to Bangor from Ludlow, I decided to stop off at a couple of sites along the way. 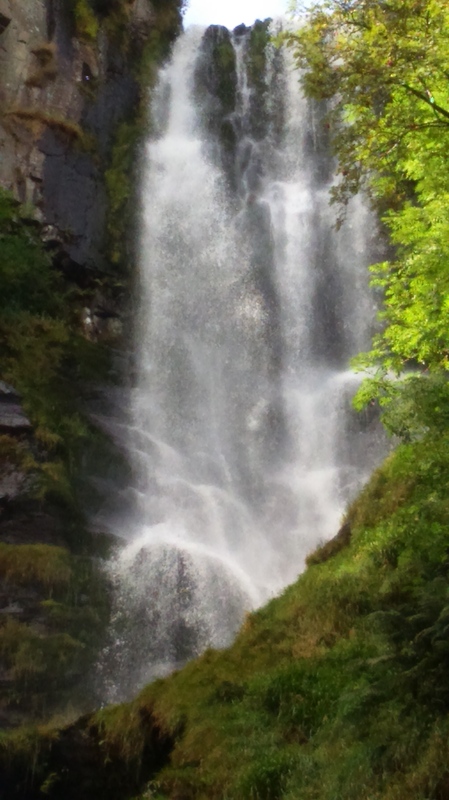 Just before reaching the town of Oswestry, I turned off into Powis and followed my sat-nav, which was guiding me to the Pistyll Rhaeadr, one of the tallest waterfalls in England and Wales; though not the tallest, which is a common mistake. 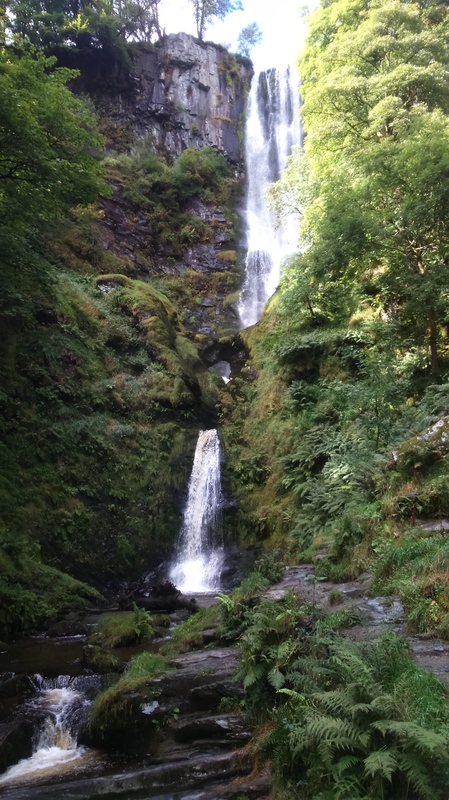 Pistyll Rhaeadr’s source lies in the Berwyn Mountains, which tower over the surrounding countryside and the waterfall itself tumbles over a 240ft cliff face. 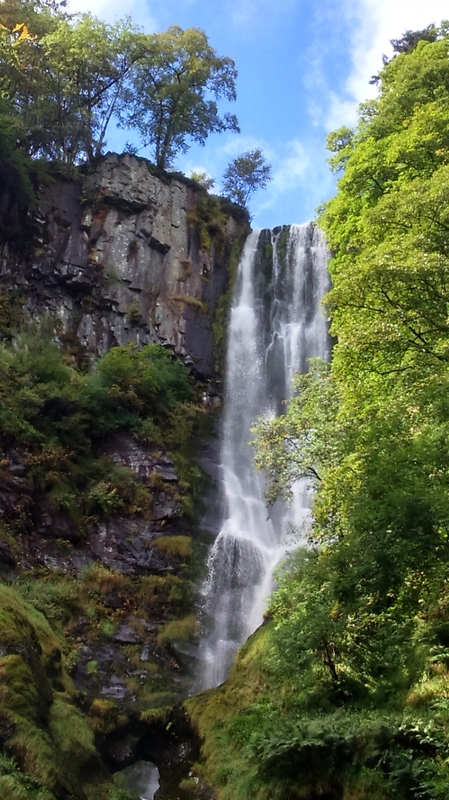 The waterfall is listed as one to the Seven Wonders of Wales and is also a Site of Special Scientific Interest. 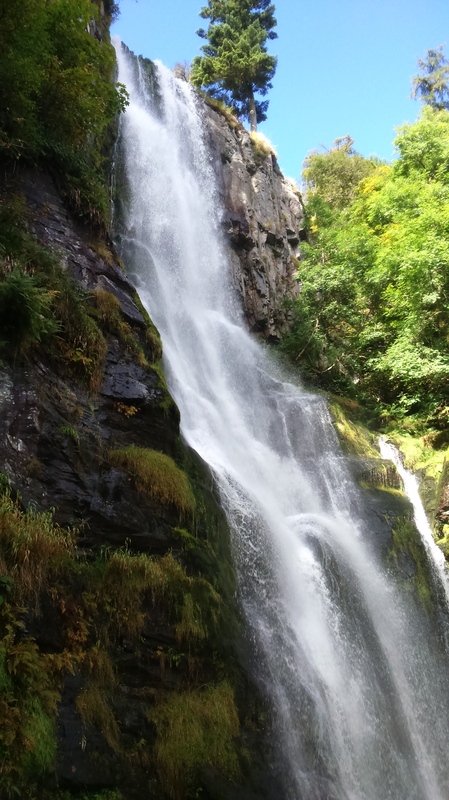 There are various walks in and around the waterfall and I would of liked a day to explore the area, but alas time was pressing as I had to collect the key to my house at four o’clock. Leaving the waterfall I drove on to the village of Bala, but before reaching there, I had to drive through the Milltir Cerrig Pass, a mountain pass which crosses over the Berwyn Mountains; reaching 1594ft above sea level. I was staggered by the beauty of this particular stretch of road, it rivaled the A5 through Snowdonia, which is my personal favourite. Again I wish I could have stopped to take some photos, but I really didn’t have time, so you’ll just have to take my word for it; it truly was amazing to drive through. 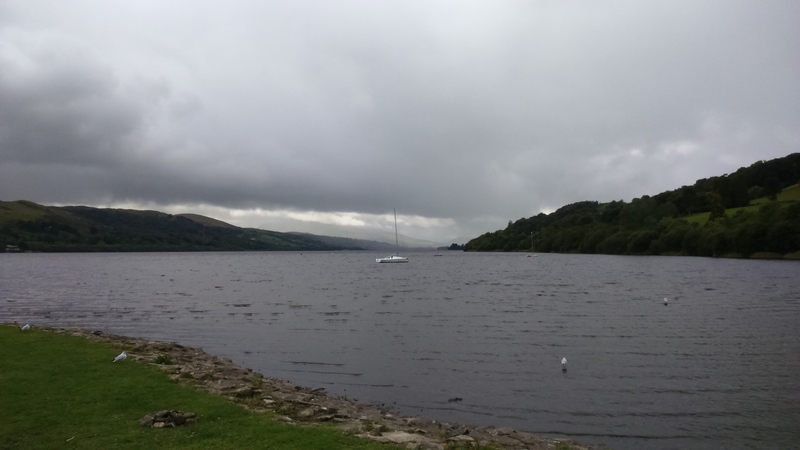 I finally stopped for a quiet lunch by the shores of Lake Bala, the largest natural body of water in Wales. 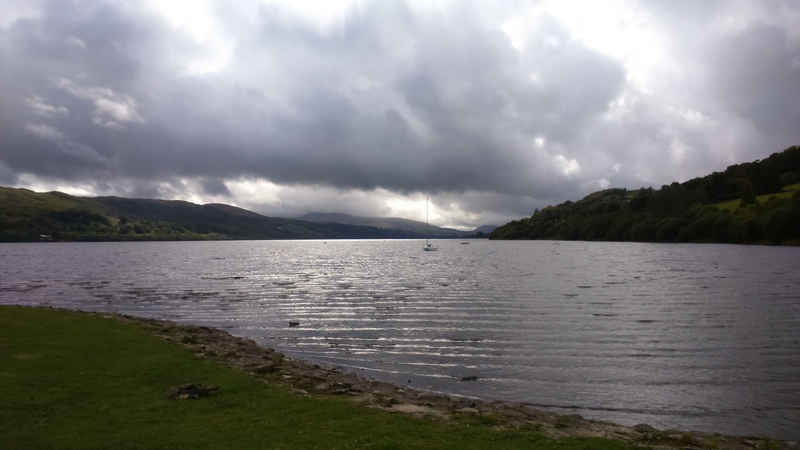 By this time the sun I’d been enjoyed fell away to dreary cloud and drizzle. Soon though I was back on the road and driving into Snowdonia National Park. Doing so, I felt a great sense contentment and excitement, I was finally back and now I certainly can’t wait to get out into these hills again. Just waiting for that sun now. Amazing pictures – never heard of this waterfall before, it’s definitely going on my list!! I will go looking for it now!! 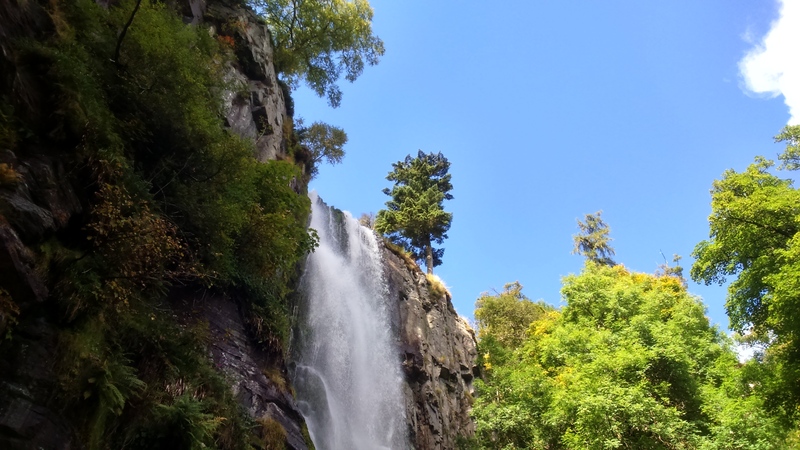 Thanks for taking us to the beautiful waterfall. Great photos.